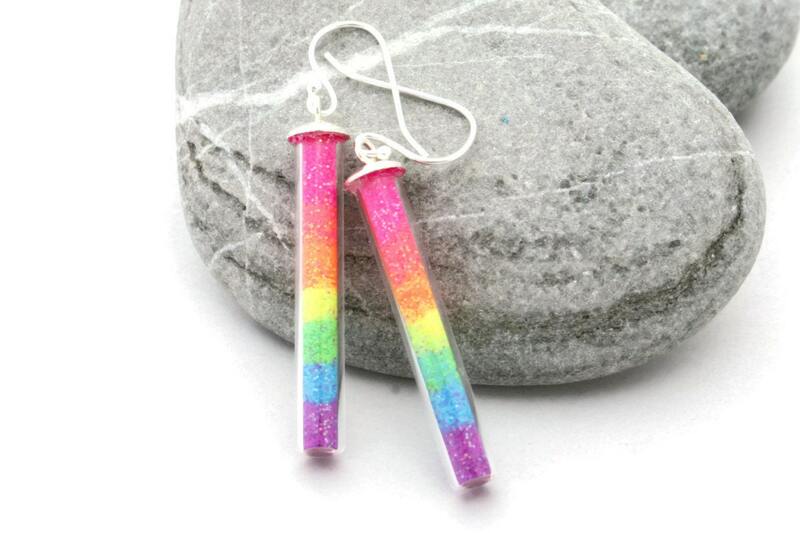 These beautiful rainbow earrings have a slight sparkle within the neon glitter. There are layers of neon glitter in small glass tubes. I used seven shades of glitter to layer it into a neon rainbow and packed the glitter down so they won't get shaken up and mixed together. 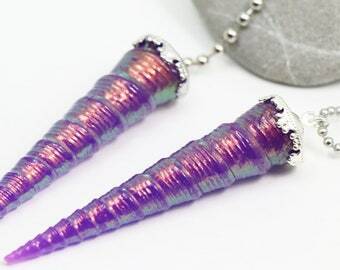 Silver plated tops are glued to the top of the tubes and they are suspended from silver plated earring wires. An entire earring, top to bottom, measures 45mm or about 1.75 inches.